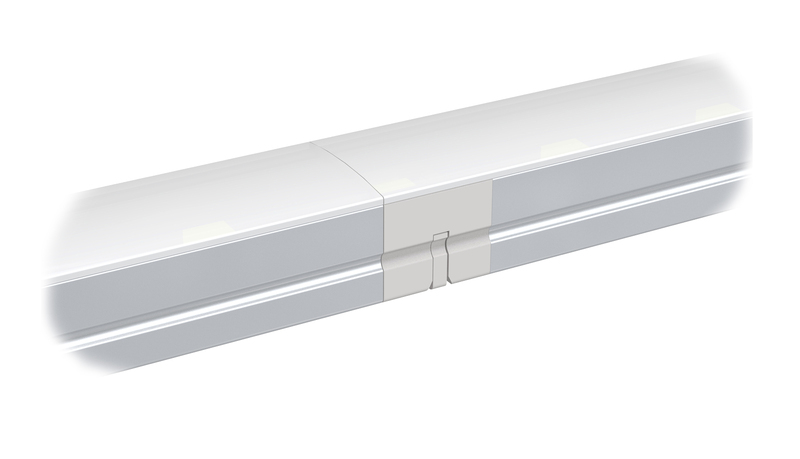 The Altair series is a miniature linear LED strip fixture that allow architects and designers the ability to easily install in the tightest of spaces. With a petite profile of ½” (W) by 3/8” (H) it packs a punch. A 12” fixture can produce 455 lumens and provides 50,000 hours of free maintenance. The Altair is available in 6 lengths 6”-34” and 2 CCT options. Fixture to fixture linking is easily achieve with an assortment of modular connectors and link cords. The extruded aluminum body and preinstall magnet can stick on any metal surfaces without causing any damage. Once fixtures are linked end to end, they produce a seamless light source as they appear as a single fixture. Copyright © 1999-2011 Antares Enterprises, Inc. All rights reserved.